Who will reach the princess first? 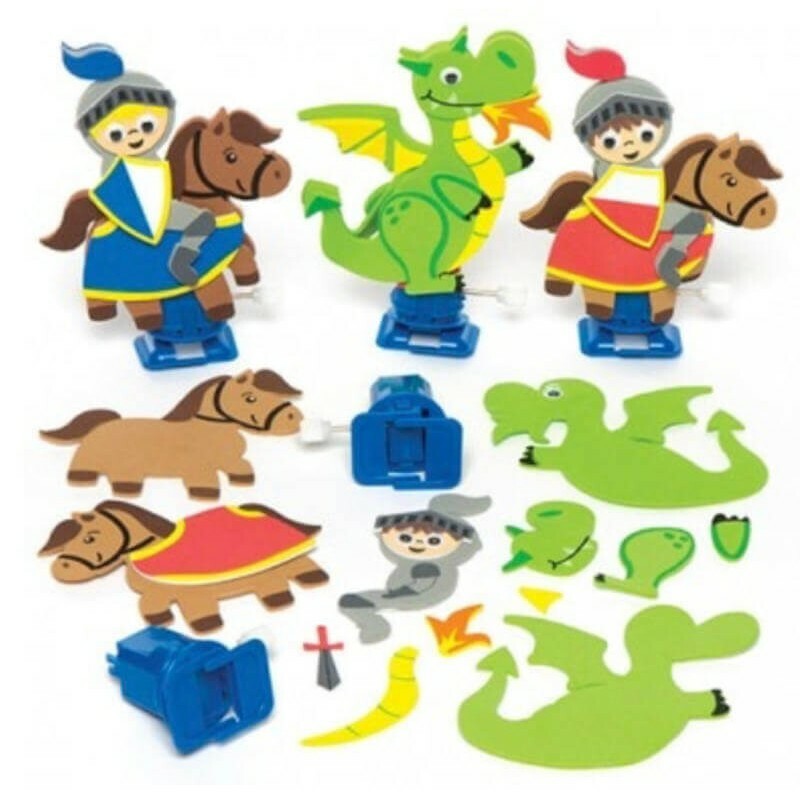 Foam racing knight and dragon kits for children to make then play with. Includes foam pieces, wiggle-eyes and wind-up mechanism. 3 assorted. 12cm high.